Amsterdam is one of the most expensive destinations in Europe. Despite this, you need to see it, because it's an amazing city! It has such a long list of amazing things to see... the canals, the history, the red light district, the art museums, the night clubs, the houseboats, and the list goes on. But you're on a budget, and you need a place to sleep. So how do we make this work? With hostels, of course! 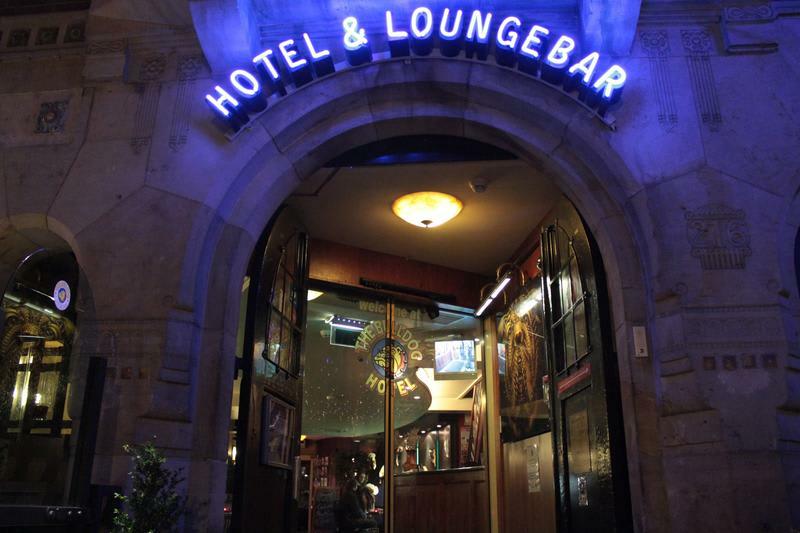 You probably already knew that, so let's start talking about the best hostels in Amsterdam. 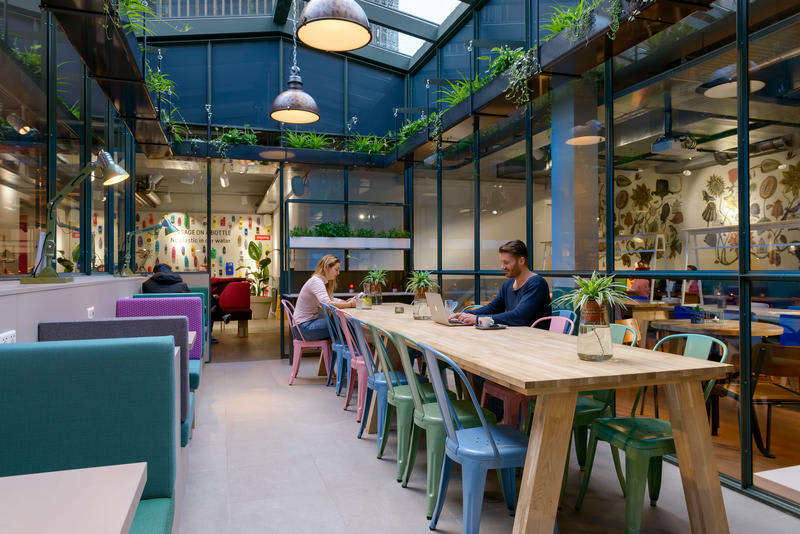 Depending on the type of traveler you are, a hostel with the right personality can be found in Amsterdam. From relaxing hostels to party hostels, from hostels for solo travelers to hostels for couples or families, there is something for everyone. And the location is important, too, so we listed out some of the hostels that are high quality and in a great spot for seeing all of the city. 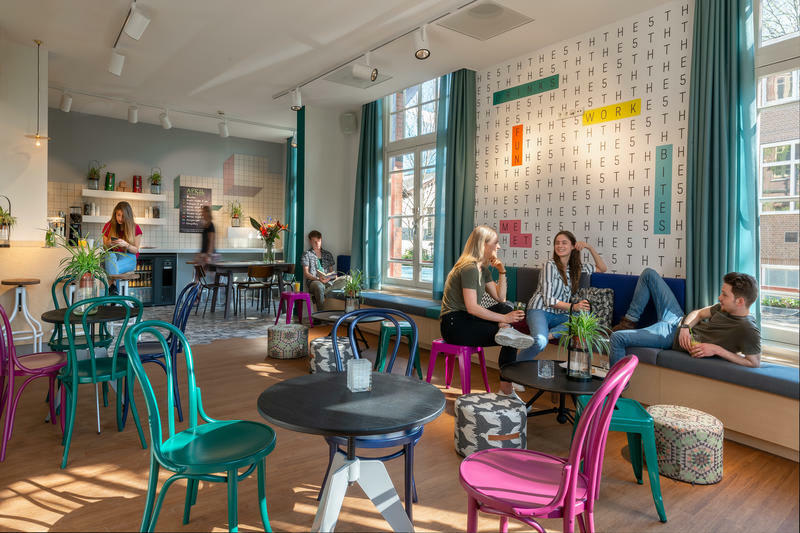 As one of the most popular hostels in Amsterdam, if you stay here you'll definitely find other travelers to mingle with, some comfortable beds, and a long list of awesome amenities. St. Christopher's Inn is a great place to stay, whether you're looking to relax or head out on the town for a good party. This place has an on-site bar and restaurant that has several comfortable couches, good music, and plenty of sports on television. It also has great food and drink promotions throughout the year. The food is filling and healthy and the menu has everything from burgers to salads, nachos, wings, and daily specials. There's also a 25% discount for all guests of the hostel. St. Christopher's is only a five-minute walk from the Amsterdam Central Station which means it's right in the middle of the city. Located close to Dam Square and the Red Light District, you can just step outside and have all of Amsterdam within walking distance. You'll have the opportunity to enjoy everything from canal tours to coffee shops and beer gardens that are nearby. It's a safe area and you'll feel in touch with the rest of the city. To get the guests meeting each other, the hostel offers free walking tours and a nightly pub crawl. The bar on the lower level is a great place to mingle, too, as during the day it is relaxed, and the energy picks up at night. The hostel is also next door to the Winston Kingdom Nightclub, which offers live music or DJs all night, every night. So if you're looking for a party, you can find one easily. Or, you can relax in your room or in the common areas of the hostel. The rooms are comfortable and are offered in a variety of sizes. Dorms have ensuite bathrooms and have 4, 6, or 10 beds. The smaller rooms are usually quieter but do cost a little extra. Private rooms with ensuite bathrooms are available, too. Larger dorm rooms with up to 6 beds can be booked for a private group if needed. With thousands of reviews from previous guests, this hostels has earned a great rating. Most of the reviews call out the terrific location, friendly staff, clean environment, and fun atmosphere. One guest said, "Set in a super great location, I couldn't have asked for a better time. I met some rad people and the restaurant/bar downstairs has a good deal for those staying there. It's close to everything in DT Amsterdam and easy to get to. If you can strike a deal here, I say go for it." Check out more reviews. With a location right in the middle of Amsterdam and a long list of amenities, on paper this place looks great. But when you actually arrive, you'll find that it's absolutely amazing! Situated in a large and renovated building with a variety of common areas, this hostel has rooms that are suitable for any type of traveler, including solo travelers, couples, or even families. Dorms range in size (and price), and there are private rooms with private bathrooms as well. If you're on a tight budget, you can opt for dorms with shared facilities, or upgrade to dorms with ensuite bathrooms or small private rooms. But what makes this hostel terrific and unique is the atmosphere. The building houses "labs" which are places for artists or musicians to do their work. The bar and other common areas provide ample space to relax, kick back, and meet your fellow travelers. 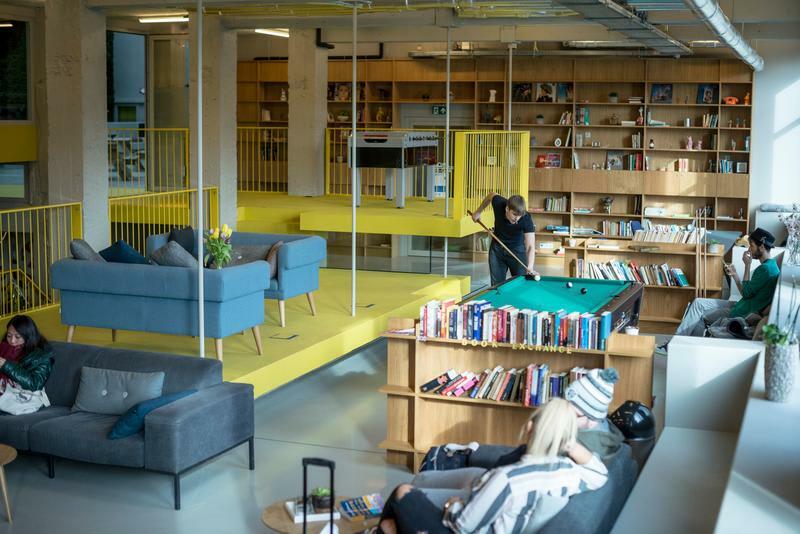 With pool tables, couches, an affordable cafe and restaurant, and outdoor spaces, this hostel can be your home away from home while you explore Amsterdam. The staff is multilingual and is available 24 hours a day. They can also help you with tours or transportation if needed. Thousands of positive reviews have given this hostel an absolutely terrific rating. Guests say that the hostel is clean, well organized, perfectly located, and fun. One traveler said, "So far the best hostel where I've stayed. I arrived at 11am and I thought I had to wait until 2pm (the usual check in time), but they told me my room was clean already so they let me check in earlier and didn't charge me for that. At the beginning the fact that I had to take a ferry to get there was shocking, but it was nothing, like 5 minutes ride and it was for free and works 24/7." Read all reviews. 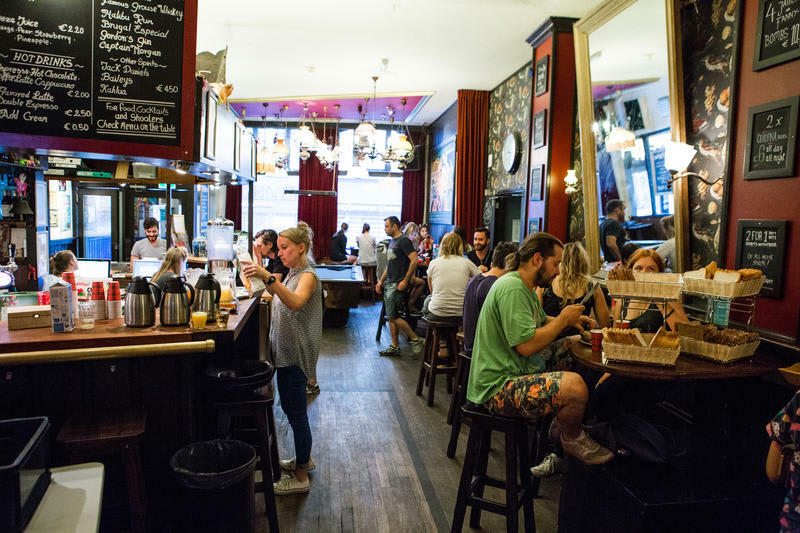 As one of the most popular hostels in Amsterdam, the Flying Pig Downtown Hostel is the place to be if you're looking for fun nights and socializing with other travelers in a comfortable setting. It's has a reputation as a popular hostel for partying, but there are some great areas where you can just sit back and relax as well. Guests can chill out in the hostel, play pool in the bar, or go to the DJ hosted party with dance music that happens twice a week. The bar stays open until four in the morning and the beer is some of the cheapest in town. Or, if you're in a more mellow mood there's also a television room with a DVD player. The hostel offers a free and complete kitchen where many travelers get to know each other during meal times. It's also a great option if you want to save money by cooking your own food. The hostel itself is only a few minutes walk from the central train station, so you're surrounded by some good affordable restaurants, shops, and more. It's also a few minutes walk from Amsterdam's world famous Red Light district. Other nearby sights include the Anne Frank House, the Royal Palace, and Dam Square. The location is perfect for anyone who wants to explore the city. Dorms and private rooms are available in a variety of sizes and prices, and many have ensuite bathrooms. They have something for everyone. Guests leaving rooms have said many positive things about the great party atmosphere, cleanliness, friendly staff, great location, and affordable prices. With thousands of positive reviews, this hostel has earned a very high rating. One guest said, "Honestly, one of the coolest hostels I have ever stayed in. It's right in the middle of town and a close walk to the central train station - which is super convenient. They have events every night and a big smoking room where everyone hangs out. Lots of restaurants and coffee shops nearby. Plus a close walk to the red light district." Read more reviews. Amenities: Everything! Bar and restaurant, common areas, etc. Heads up: It's large and can feel crowded at times. An amazing hostel at an amazing price! This branch of the Stayokay is large, modern, clean, and offers plenty of amenities to guests. The reason it is cheaper is because of the location - it's on the eastern side of the city, several kilometers out from central Amsterdam. However, it's on a tram line which takes you right into the city without changing lines. 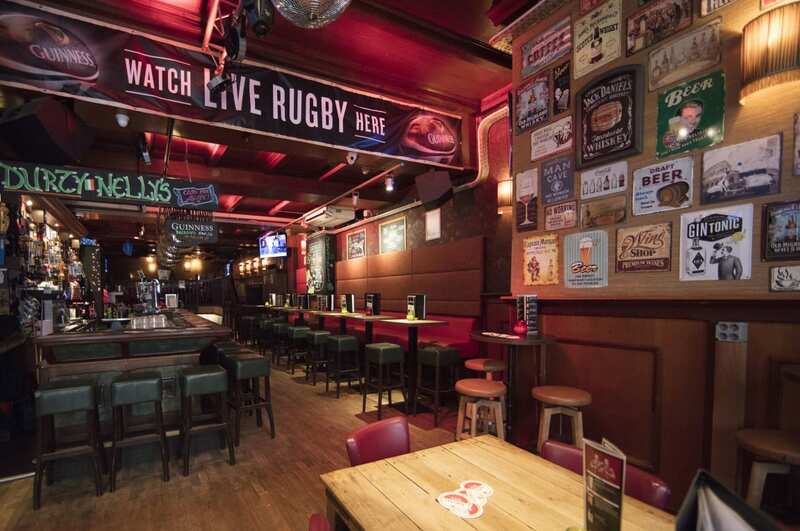 So, you're really only 10 minutes away from the action with a comfortable room at a significantly lower price than other hostels in Amsterdam. 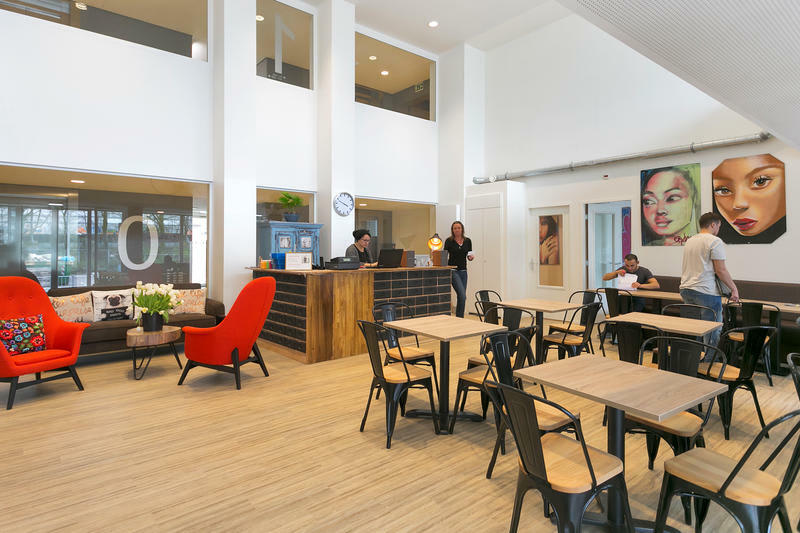 The photos say it all: this hostel is modern, clean, spacious, and vibrant. The bar and restaurant provide a great spot to meet other guests and relax. The dining hall is also very social, especially at breakfast. While not included, breakfast is good and affordable, and makes for a great way to start the day. Dorms are available with 4, 6, or 8 beds. The 8 bed dorm is the lowest priced, and one of the lowest prices in Amsterdam which is known to be expensive. They also offer private rooms with twins or doubles for couples, or rooms with 4 or 6 beds for groups or families. With thousands of positive reviews, this is a great choice. Reviews highlight the clean and modern environment, the friendly staff, and the great value despite not being in the exact center of Amsterdam. One guest said, "Super. Clean. AND COMFORTABLE. AND WARM. Super amazing structure, good beds, good bed clothing, the shower was amazing and everything super, super clean. I loved the decoration of the whole hotel and is super spacious." See more reviews. This modern and affordable hostel is one of the most popular and well reviewed in the city. It is conveniently located in the middle of the famous Vondelpark which is to the southwest of central Amsterdam. It is still close enough to the middle of everything so that you can easily walk to some of the best sights, bars, shops, restaurants, and nightlife in the city. There's an onsite bar that shows sports on television and offers great music. There's also a daily happy hour and 10% discount to hostel guests. With a variety of common areas as well, this hostel has a nice social vibe to it where guests can relax with their fellow travelers. This is a larger hostel with modern facilities and a long list of amenities. It has 536 beds that are split between dorm rooms with either 2, 4, 6, or 8 beds. A few larger dormitories with up to 20 beds are available if you want to have a cheaper bed or have a large group. Guests are provided with a personal locker and there is a terrific game room, as well as meeting rooms, a bike shelter and bike rental. The staff can also help you with travel information or booking tours. This hostel is highly recommended, and not just by us. Thousands of positive reviews have given this hostel a high rating due to the long list of amenities, fun atmosphere, and great value. One of the guests said "Lovely buzzing hostel right next to the wonderful Vondel Park. Welcoming staff, clean rooms with lockers big enough for most of your stuff. Cafe open pretty late. Slept like a baby! Would defo stay here again." See more guest reviews. Amsterdam is definitely a party-oriented city. From the bars and dance clubs around the central area of the city, to the red light district and smoking-oriented cafes, Amsterdam has it all. So which party hostels are the best? The Flying Pig locations are great, as is St. Christophers as the Winston. The Flying Pig Downtown is quite popular for parties, and is one of the highest rated party hostels in all of Europe. We mentioned it up above in the Best Overall Hostels section, so definitely check it out. 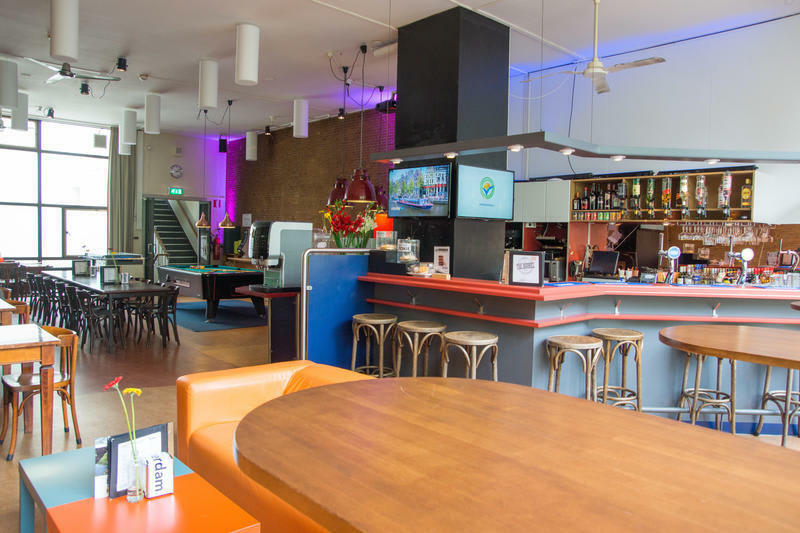 We reviewed this hostel above in our Best Overall Hostel section, but it absolutely deserves a mention as one of the best party hostels in Amsterdam. Check it out here. 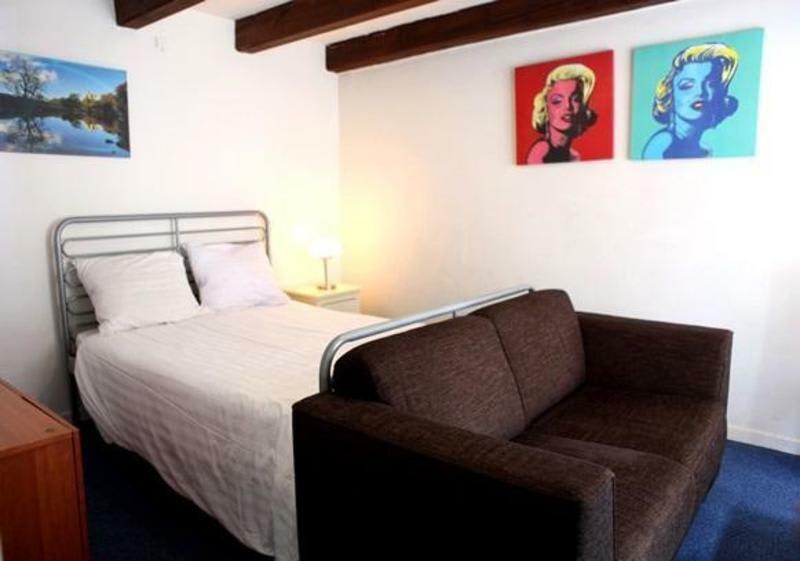 Located just southwest of the center of Amsterdam, this hostel is conveniently situated right next to the Leidseplein. This square is well known for its artists as well as the large number of clubs, coffee shops and restaurants nearby. The hostel itself is in an old Amsterdam mansion and looks out over Vondelpark. It has a wonderful laid back atmosphere and is a great place to experience the "real" city with its parties, active common areas, and social atmosphere. There's a bar at the hostel which encourages guests to get to know each other and make friends. The staff is very friendly and can help you figure out anything about where to go and what to see in Amsterdam. Games, movies, and drinks are available, and there's an indoor smoking area for guests as well. The street that the building is on is very beautiful. The building is right next to a park and is only a minute from plenty of activities. Close to public transportation and a few canals, this place is in a great spot in the city. If you're looking for a social hostel that always offers up a good time then this is the place for you. There are always things going on and interesting people to meet so it's definitely a number one pick for travelers to the area. Reviews of the Flying Pig Uptown are very good and number in the thousands. You really can't go wrong here. Despite being a party hostel, it is kept clean and has modern amenities that you can expect at any decent hostel. One guest said, "I was only at Flying Pig uptown for one night but it was certainly one to remember! The hostel itself is nice and the rooms and bathrooms are good. The staff were truly great (shout out to Amanda at the bar!) and the atmosphere was laid back in the afternoon and fun and energetic at night. If my trip had been longer I would have been happy to stay." Read all reviews. Durty Nelly's Hostel and Irish Bar offers clean and comfortable dorms and private rooms with an awesome and friendly staff. The location is perfect: right in the middle of central Amsterdam, very close to the Red Light district and Dam Square. If you are up for sightseeing during day and partying in the evening, you've found the perfect place. This hostel offers a great blend of location, helpful staff, and a fun Irish Pub on the ground floor for partying and dancing at night with your fellow travelers. There is no curfew - and all shared dorms and private rooms have ensuite bathrooms. Dorms have individual lockers under the beds, reading lights, power sockets and USB chargers, too. Free wi-fi is available, as is luggage storage, linens, and more. The hostel has so many great amenities, anyone would be comfortable here. The staff can coordinate free city walking tours, museum tickets, canal cruises, and bike rentals. Connect with all your friends with free Wi-Fi available everywhere in the building. Use the secure luggage storage after you check-out, to make the most of your last hours in Amsterdam! Only guests between 18 and 65 are accepted. Linens are included for free and towels are available for hire. They get great reviews from guests, and plenty of them. This review sums it up nicely: "This hostel's location is amazing!! It's in the oldest part of Amsterdam and right in the middle of the red light district and close to all the fun. It's also a great centre point to explore what Amsterdam has to offer. The staff were always friendly and helpful and the bar it's above does actually have some pretty great deals and prices. I was on the first floor right above the bar, and noise was no issue. Prefect and comfortable night sleeps. Overall a great hostel for the price. Close to train station." More reviews here. The BullDog offers a great option for travelers who are looking for an affordable place to stay that is clean and well kept with a social atmosphere. It's designed to appeal to budget travelers who aren't looking to spend a lot of money but still want comfort and style. The owner has done a good amount of traveling himself so he understands what travelers want and need, and he's gone out of his way to make sure it's provided at this guesthouse. It's a popular option with backpackers, but the diversity of room styles and sizes make it appealing for a variety of different people whether they are couples or solo travelers. 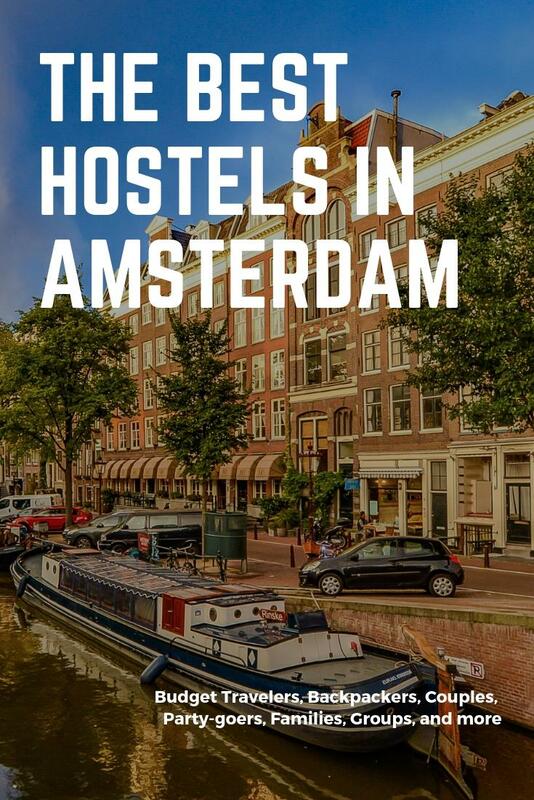 The hostel's location is in downtown Amsterdam and is near the Red Light District and Dam Square. It's right by all of the excitement and bars and clubs that this vibrant city has to offer. It's a great place to relax and meet other people who have come from all over the world. A bar and restaurant is located on the lower level, but it's not too rowdy at night. You can enjoy a cup of coffee, smoke a cigarette, or simply watch your favorite television show. There are also DVDs available for guests to enjoy. Rooms are either dorms or private rooms, and all have ensuite bathrooms. Dorms come in various sizes, and an all-female dorm is available, too. The rooms are decorated in a vibrant color scheme. Security is 24-hour per day, so guests know that they and their belongs are in a safe environment. Dorm rooms also have individual lockers for each person, and they are large enough to hold everything (see the photos). The staff understand that many travelers are budget conscious but they still make sure you have the comforts you deserve. 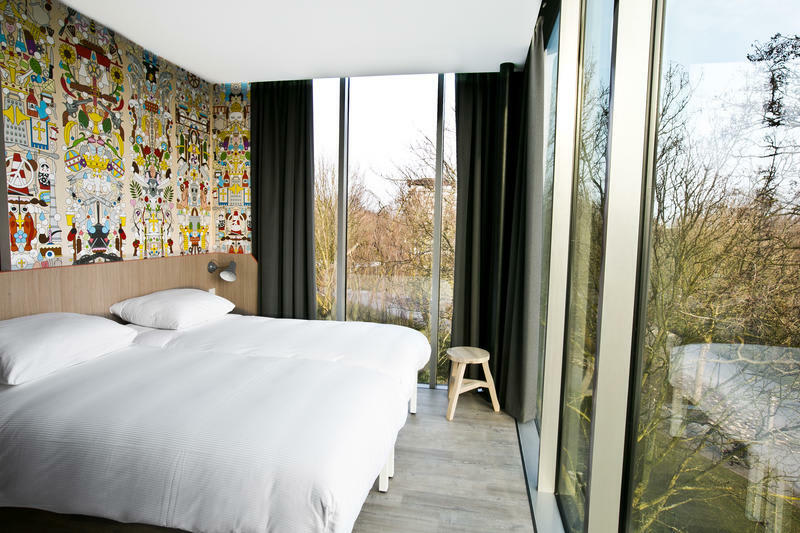 This hotel goes beyond the level of most budget accommodation in Amsterdam, and the service is on par with a nicer hotel instead of a backpacker's hostel. If you're looking for tourist information, that is available as well. Any information you might need on the city or the surrounding area is at your fingertips. The vast majority of reviews are positive. One recent guest said, "Stayed for 2 nights, once at the start of the week and then at the end. The location was absolutely incredible! It is so central and the views we had from the hostel rooms were Amsterdam picturesque! The staff helped us with the everything, from shampoo when we ran out and towels whenever we needed them. The rooms were warm and the beds were comfy. The hostel bar was brilliant and is well ran, serving free breakfast in the mornings! Through the day and night the atmosphere is brilliant." Read more reviews. This branch of the Stayokay is very close to Dam Square, the Red Light District, and more. If you're familiar with this chain, you'll know what to expect. They offer modern facilities in a clean and safe environment with a long list of amenities and a helpful staff. Pool tables, an on-site bar and cafe, lockers, and more are on the list. The only thing they don't have is a kitchen for those that want to cook. The mood here is relaxing and quiet but still social. Reviews are positive, and their overall rating is great after thousands of reviews. You really can't go wrong here unless you're looking for an absolute party hostel. One guest said, "The location is very good and it just takes 3-5 minutes to the square. The other thing I appreciate most is the very clean dorm and beds. They will provide all new covers in an unopened package, which makes me feel comfortable and safe." Read more reviews. The Generator Amsterdam is part of a chain of hostels found around Europe. It's a secure and safe place to stay that has several great social areas, a nice cafe, and an outdoor terrace. There's also a nice lounge area and bar, as well as an old library where you can relax with a good book. 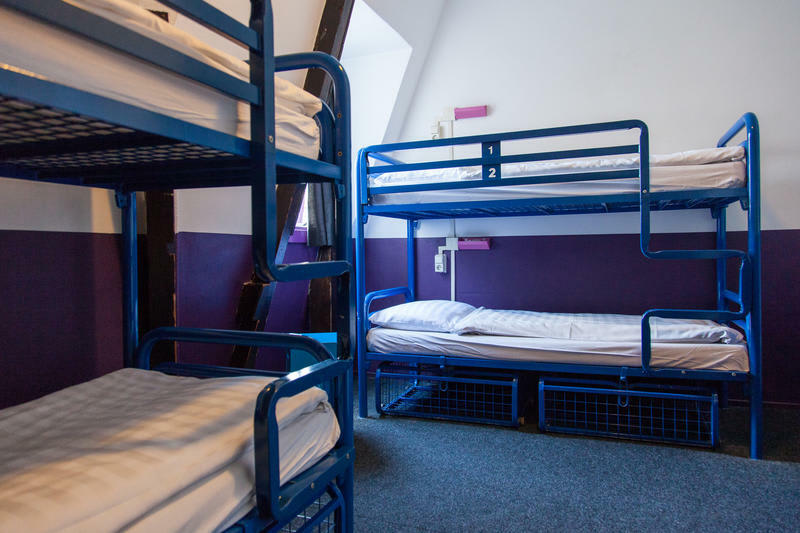 The hostel has all of the standard amenities available including free wi-fi, laundry facilities, and a secure luggage room. There are also bikes available for rent, which offer guests the most convenient and enjoyable way to explore the city. The staff also host regular events which help guests get to know each other. This is a large hostel which was formerly a University building. It was converted into a hostel with a number of private rooms that can house over 500 guests. The large size means that you're always going to meet someone, and the long list of nice amenities means that you will be very comfortable. There are twin, double, and four bed private rooms available, some that have nice views. Dorms are available as well, but 4 beds is the largest size. The location is nice, as it is near a park in a quiet neighborhood. It is just southeast of the central city. It is close enough to ride the tram, walk, or bike to see everything, but far enough out to avoid the noise. Reviews are generally positive and highlight the great food, clean rooms, social atmosphere, and friendly staff. Rachel said, "Awesome atmosphere with modern finishes and communal "at-home" ambiance. A short distance from the city center and near the tram. You can find parks and several restaurants in the area while enjoying the convenience of metro to transport you throughout the city." See all guest reviews. 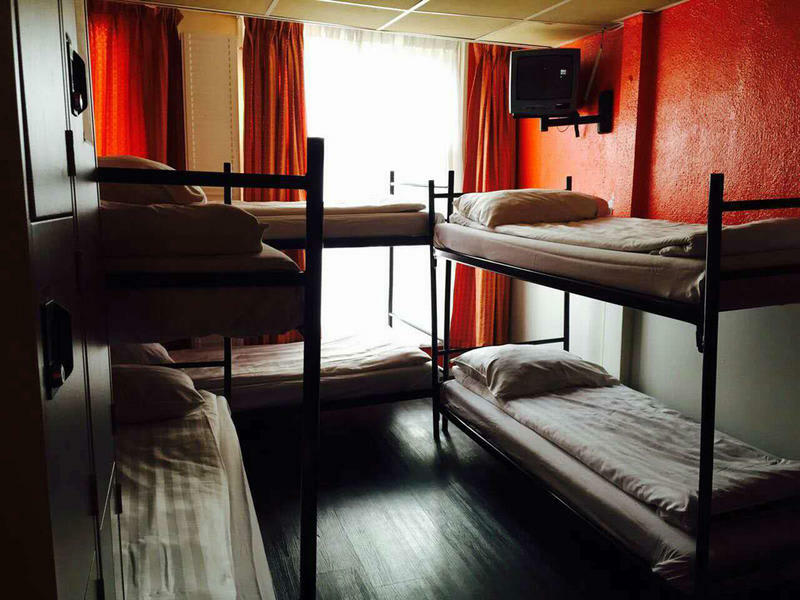 This is a simple hostel with plenty of private rooms in a great location in central Amsterdam. It's not very party oriented, although there is a bar on the lower level. The breakfast is nice and the rooms are generally quiet and clean. It's worth a look if you and your better half are looking for an affordable option. We reviewed the Bulldog up above in our Best Location section. It's also a great local hostel, so check it out. The Bulldog has a long list of amenities and offers a great value, especially considering the location and entertainment options. Check it out here. It's a few minutes from Sloterdijk station, and from there you can whisk into central Amsterdam in about 15 minutes. This means that your bed prices will be cheaper. Also nearby are several places to get a quick bite and buy food. Guests have left mostly positive reviews. This one from Samatha sums it up: "A very nice and clean hostel. It has everything you could need, including a good kitchen, free laptop, showers and common room. The bedrooms are a good size, so it doesn't feel like you're sleeping right next to a stranger. It may be a little out of the way, but the tram is super close and easy to use. It also means that it's nice a quiet at night. Staff are friendly and very helpful." See all reviews. Heads up: Check the location - it might not work for you. This place might have the word "hotel" in its name, but it's actually a hybrid between a hostel and a hotel. Many of the rooms are private, and they also offer dorms. It's a generally quiet and very comfortable place with plenty of modern amenities, charm, and comforts to make anyone happy. Plenty of family-friendly amenities can be found here from the high-chairs in the kitchen to the play area with toys in the common space. With private rooms and ensuite bathrooms, as well as a kitchen for cooking your own meals, this place has everything that a family could need or want, all at an affordable price. And the atmosphere is safe. It's social but also quiet and relaxing. Private rooms come in a variety of sizes. 4-bed rooms are great for families, and a 6-bed bunk layout is also great for larger families with older kids who could sleep in bunks. While breakfast is not included, an affordable buffet breakfast is available which makes for an easy way to start the day right. The location is not central, but is still convenient as you are very close to the train line which can zip you into central Amsterdam in a hurry. The Meininger has received thousands of reviews from guests and has an absolutely terrific rating. Guest reviews call out the moden facilities, cleanliness, friendly staff, and overall comfort. One guest said, "If you are going to stay in Amsterdam, and you want a relatively affordable hostel that is very comfortable, then choose this place. It was simply amazing. Everything is so clean. It is close to public transportation and a market where you can get many affordable snacks." Read more guest reviews. We mentioned this hostel above in the Best Budget Hostels section, but it's also great for families. 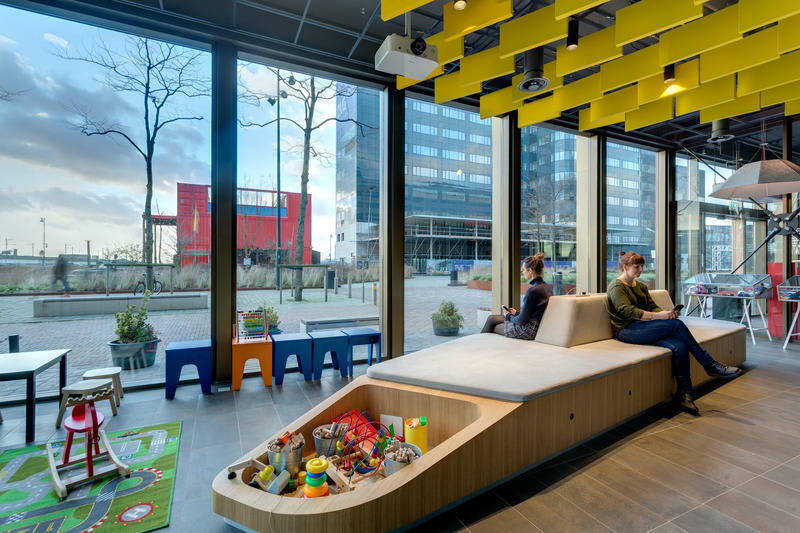 This large hostel has rooms that are fit for families. They have private rooms with ensuite bathrooms along with a long list of amenities. The location is a little outside of the city center, but the tram will whisk you into Amsterdam in 10-15 minutes. Check it out here. 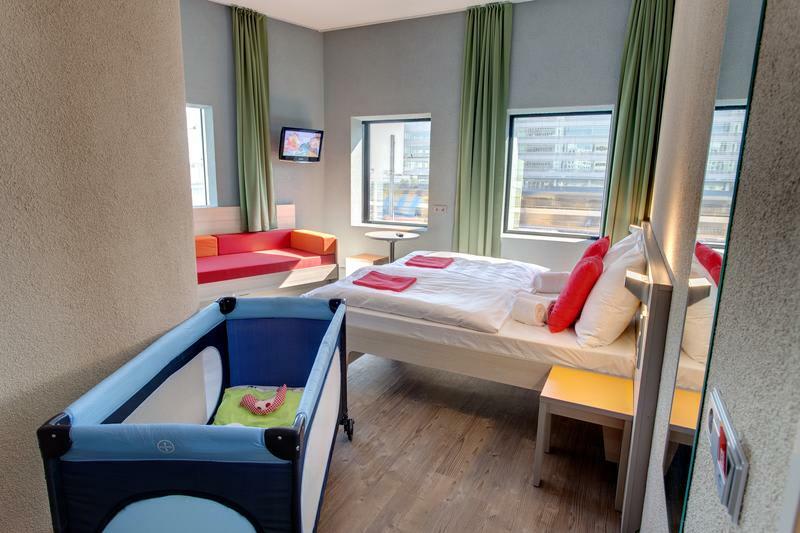 If you're traveling as a family, also check out the A&O Zuidoost. This hostel has a long list of options and amenities that are perfect for families. 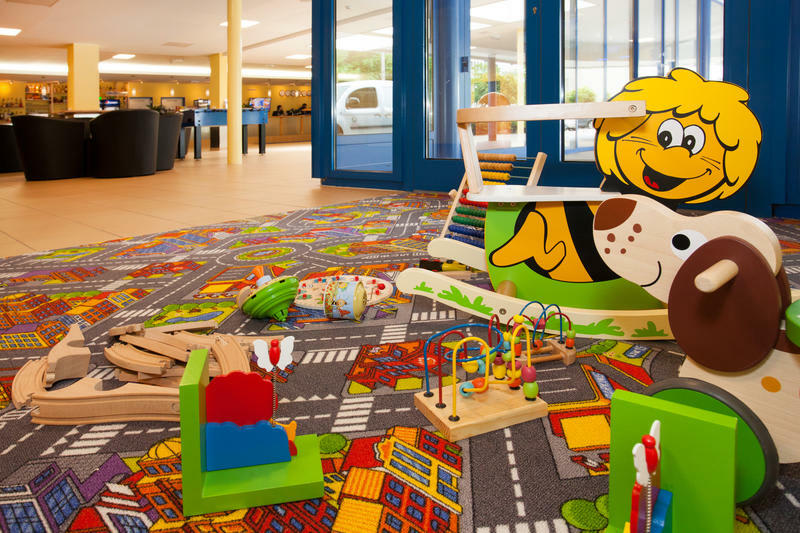 They even have a special family room, as well as toys for kids. The location is not as convenient, as it is to the southeast of the city and a commute into central Amsterdam would be required. We reviewed this hostel above in our Best Budget Hostels and Hostels for Families sections, because this is a great all-around hostel. This spacious branch of the Stayokay chain has plenty of amenities for large groups such as school groups or other large organized trips. They are set up for, and prepared to serve many guests. They have an affordable breakfast in their large dining hall, as well as plenty of comfortable and spacious common areas. Rooms are clean and modern, and have ensuite bathrooms. This is not a party hostel, but it's still active and social. It's a great option if you plan to take a lot of people (or children) to Amsterdam and need an affordable place to stay. With a central location and a nice list of amenities, this hostel is a good choice for budget travelers or a small group looking to have fun in Amsterdam. With private rooms that fit up to 8 people, or dorms up to 10 people, this is a good option for those that wish to save money. Some rooms also have ensuite bathrooms. Located right next to the red light district, and about half way between Dam Square and the train station, you will have all of Amsterdam within easy reach. From restaurants to bars to shopping, you can't go wrong with this location. Breakfast is discounted at the Crepes and Waffles restaurant, and the bar next door is the place to hang out and meet other travelers from the hostel. Otherwise, this is a friendly, clean, small hostel that offers a lot for the amount that you pay. This is a relatively new hostel, so there aren't many reviews yet. One guest summed it up by saying, "Staff were super friendly and personally we got lucky with roommates, beds really comfy and location was fantastic." More reviews here. This place might have "hotel" in the name, but it's actually a simple hostel with dorms which allows for groups. Conveniently located near the city's Central Station and close to Dam Square, staying here is a convenient choice for any group on a budget. 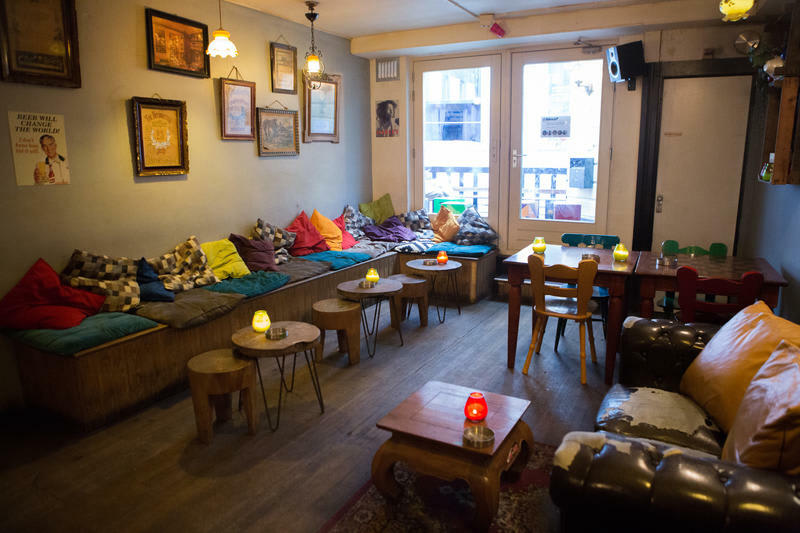 This puts the hostel, and you, in a perfect spot to enjoy all of Amsterdam at your doorstep! This hostel is a great option for small groups because of the dorms that sleep eight, six, or four people. Some of the rooms have a private bathroom while the smaller dorms have shared bathrooms. Private rooms are also available for six, four, or two people. Twin rooms are available with private bathrooms. Conveniently, there is a cafe restaurant on the ground floor of the building. Here you can enjoy a variety of food and drinks and get to know fellow travelers. Other amenities available through the hostel include a safe to hold valuables, free luggage storage, free towels and linens, free wireless internet, travel information and discounts to many of the city's top attractions. Most of the reviews of this hostel describe the great value, as it is very low priced. One reviewer stated, "Awesome hotel for 5 boys staying in Amsterdam for 4 nights, pretty central, we had a 6 man private room with a shared bathroom/toilet, quite hectic in the morning but was a good stay regardless, the stairs are an absolute nightmare but was fun trying to get up and down them, pretty close to 4 coffee shops and a 5 minute walk to the centre so was good that way." Read more reviews here. This hostel is only for female travelers, and has a long list of amenities to keep you comfortable. As a relatively new hostel, it's clean, modern, comfortable, social (without being loud), and safe. The common areas include a dining area, kitchen for those that want to cook, and some comfortable lounge spots. The hostel staff organizes fun activities, too. They have a movie night and other social gatherings so that guests can meet. The location is outside of central Amsterdam, to the southeast of the city. A short tram ride can get you into the action fairly quickly. The rooms are all dorms with bunk beds, and vary in size and price. The shared bathrooms are clean, modern, and well kept. This is a great place to stay, not just for the all-female aspect, but also because of the terrific amenities. Just check out the photos to see everything on offer. With over a thousand reviews, this hostel has a great rating and is highly recommended. One reviewer stated, "Best place to stay in Amsterdam! Since it is female only it feels very safe. There is reception 24/7, so I was able to check in at 1am. The lounge area is really nice for meeting people and is also always open. It is not located in central amsterdam but it is few minutes walk from the train station which takes you everywhere. Overall I highly recommend."